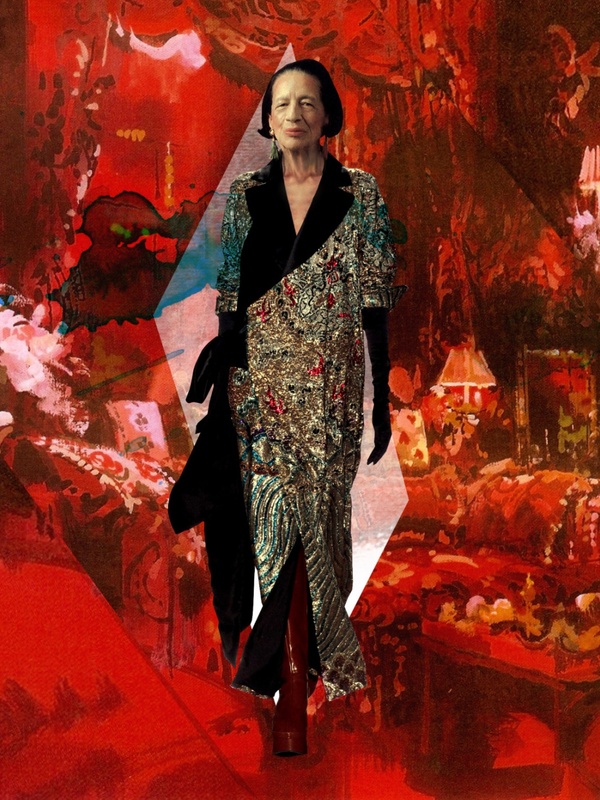 TASTE MAKER AND FASHION LEGEND DIANA VREELAND. 01. Elegance is innate. It has nothing to do with being well dressed. Elegance is refusal. 02. You gotta have style. It helps you get down the stairs. It helps you get up in the morning. It's a way of life. Without it, you're nobody. I'm not talking about lots of clothes. 04. Fashion is part of the daily air and it changes all the time, with all the events. You can even see the approaching of a revolution in clothes. You can see and feel everything in clothes. 05. A funny person is funny only for so long, but a wit can sit down and go on being spellbinding forever. One is not meant to laugh. One stays quiet and marvels. Spontaneously witty talk is without question the most fascinating entertainment there is. 06. The only real elegance is in the mind; if you've got that, the rest really comes from it. 07. You know the greatest thing is passion, without it what have you got? I mean if you love someone you can love them as much as you can love them but if it isn't a passion, it isn't burning, it isn't on fire, you haven't lived. 08. It’s not about the dress you wear, but it’s about the life you lead in the dress. 09. I think when you’re young you should be a lot with yourself and your sufferings. Then one day you get out where the sun shines and the rain rains and the snow snows and it all comes together. 10. There's only one very good life and that's the life you know you want and you make it yourself.